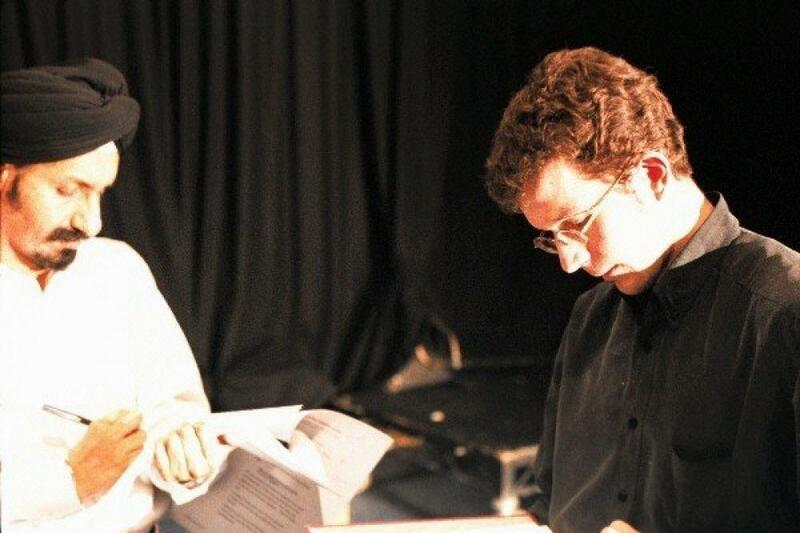 This multi-media production of a one-man play about identity, religion and love was commissioned by Asian arts venue Watermans in Brentford, where it opened in January 2004 and has gone on to be a hugely popular show across the country with Asian and non-Asian audiences alike. When a dejected British Sikh actor gets yet another slap from multicultural Britain he begins a journey of self-discovery to make sense of his conventional life amidst the cultural cocktail that's sipped by the British and drunk in gallons by Punjabis. Will he be the ‘weakest Singh’ all his life or can he finally find happiness and become some-Singh completely different? 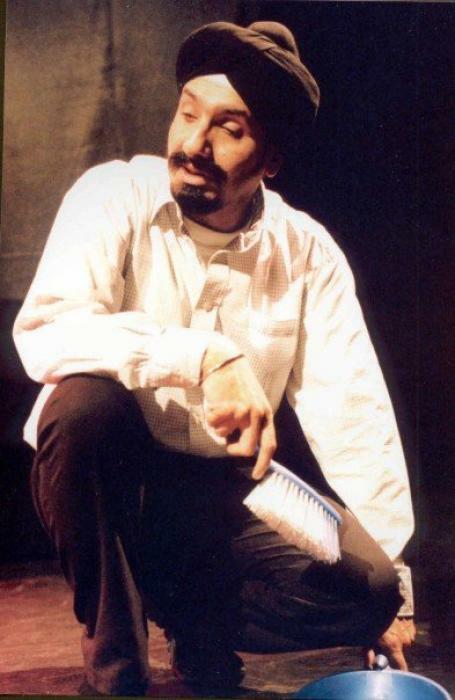 Comedian Sody Singh Kahlon took a break from his Funjabis asian comedy group to play a host of eccentric and extraordinary characters in this fast-paced, multi-media production of a powerful and provocative new comedy which breaks new ground for the representation of Sikhs in British theatre. In the first half we find our hero Mr Singh making yet another earnest but unsuccessful attempt at an audition for a Shakespeare play. His rejection leads him to think back on the life he's been leading, working at a restaurant, confronting well-meaning ignorance and even occasionally racist violence, and with the shadow of his all-powerful father looming over his prospects and interests. Mr Singh decides to change all that, and starts going on blind dates with girls he’s met through a website. The first two go nowhere. The third, though, is something else. But there’s a problem. She’s white. In the second half, the play moves to see Mr Singh's journey from his point of view as we meet some of the people he talks to for advice. Finally, as his relationship with Diana gets stronger, the time comes to see if he dares confront his father about his life and decide just what he’s prepared to sacrifice for an acting career. Linked with an asian sundtrack accompanied by images of the city Mr Singh keeps finding himself going up against, featuring filmed appearances by Saeed Jaffery and Goodness Gracious Me’s Nina Wadia plus flights of fancy with a mock news broadcast, an Asian cartoon (The Singhsons) and a quiz show (The Weakest Singh), Mr Singh’s journey is told with impressive technical resources and considerable visual pizzazz. Funny, poignant and surprisingly complex, Sikhs in the City is a comedy not afraid to make serious points, a play not afraid to tackle harsh truths with a light touch, and a production which spares nothing in its pursuit of appealing to a wide cross-cultural audience. 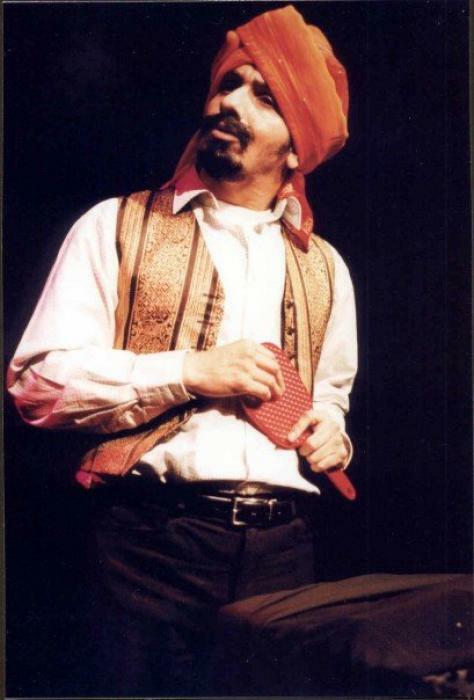 Sikhs in the City ended its 11 month tour in California just before Christmas 2004. Over the course of its run it played to around 6,100 people over 28 performances, 19 of which sold out. Three of the 16 venues in which it played added matinee performances due to the public demand. It also played a number of special charity performances, all of which sold out and made considerable sums for Sikh charities in their areas. 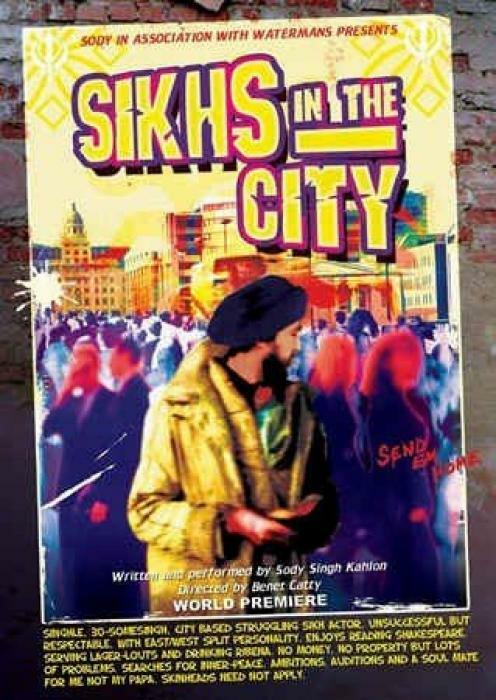 The production was also featured on a BBC programme about Sikhs in Britain, which even adapted its title as ‘Sikhs and the City’. A DVD of Sikhs in the City – filmed live at the Little Theatre, Leicester in February 2004 – is available to buy from www.sody.co.uk.